First of all, I have to apologize for the delay in getting the results posted. We have been unbelievably busy in the last 2 months (mostly due to the content of our previous blog post) and wanted to make sure we could put aside the proper amount of time and effort to judge our numerous entries. 3) Presentation, Documentation, & Explanation! However in addition to simply voting this year the TR crew sat down, threw back a few beers, and discussed why we had our top picks. Rather than simply give a numeric score as the basis for winning, I took notes on that discussion and want to convey our thoughts in cliff-note form as I feel they provide feedback to not only the contestants that won, but also others who will enter in our future contests. One thing to keep in mind is that even if your project did not win this time, if you continue to improve and further document your project you are eligible for re-entry in our future contests. So without further ado, here are the top 3 Contest Winners! Why it won: jes1510 took a newer concept (PLM) that had been discussed pretty thoroughly here on the TRC, prototyped it using Bioloid components and a bit of hacking, and then blew us away with a ground-up hand built metal chassis. This gave us a really nice peak into how he planned out this project and made it a reality. The hand metal-work is top notch as well! Even though this project is still a work-in-progress, it’s an excellent show of pioneering a relatively new leg design from concept to proof-of-concept to final version. Why it won: darkback2 took PLM and decided to run with it as well. He was actually the first person on our forums to dive in and start building after our fairly feverish discussion in the PLM Discussion Thread. He absolutely excelled in documenting his progress, success, and failures. He actively discussed it with the community, took feedback into consideration, and continued to improve the project and push it forward. Somethings would go wrong, but he would quickly come up with a solution and keep pushing on. This is a pretty familiar process to tinkerers in general, and hit home nicely with the judges. 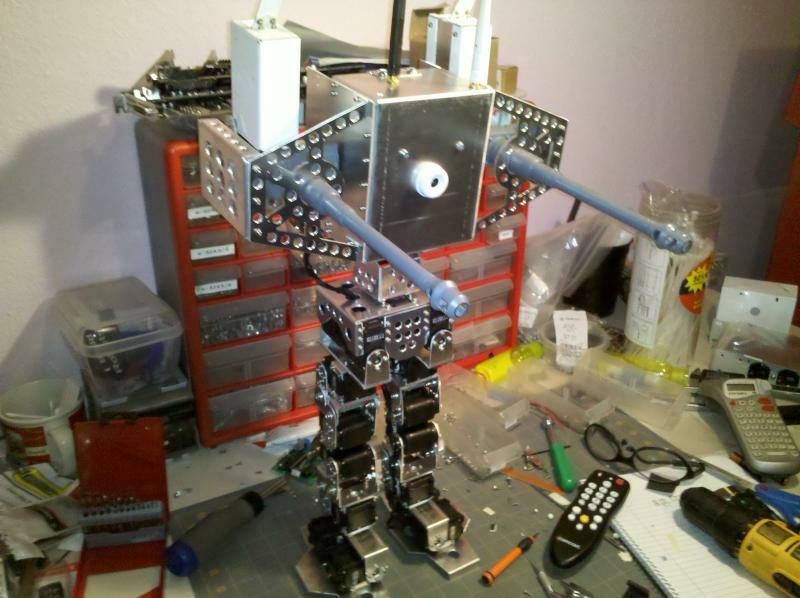 Did we mention the entire bot was built using a drill press, vice, and jig saw? Definite bonus points for the DIY approach. Again- the huge number of progress updates as the project developed and community interaction made this project score very highly. Why it won: Zenta is pretty famous about these parts- a few years back he nabbed First prize for his Phoenix Hexapod entry which had some of the most impressive IK and smooth motions we’d ever seen. He pretty much conquered Hexapod Inverse Kinematics, so he moved on to the next challenge: Biped IK. 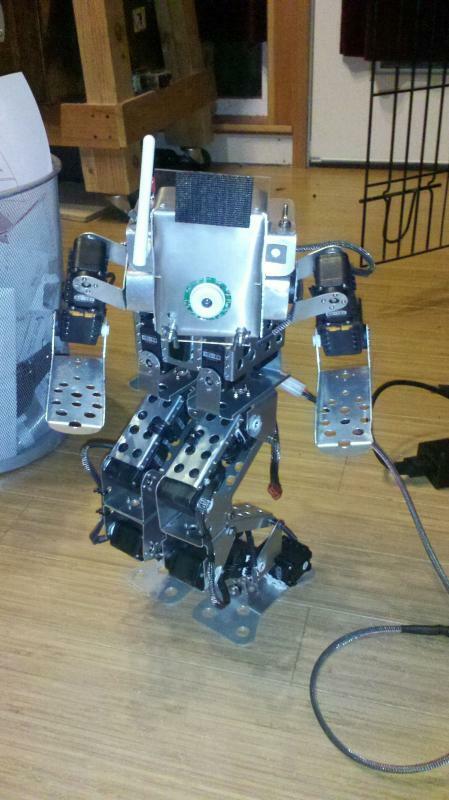 In terms of raw technical expertise, Archer is one of the most advanced robots we’ve seen on the TRC. Bipedal IK is not an easy thing to solve, and not only did he pull it off perfectly, the end result and overall smoothness in Archer’s movements is unrivaled. On top of that, he implemented a COG (center of gravity) shifting device that is absolutely brilliant. The videos demonstrate this robot’s capabilities perfectly, and consistent project updates as well as a full release of all of his code is what landed Zenta first place here. He set the bar pretty high with this entry, but with an open source offering we hope other’s can learn from the knowledge he shared with this project. Congratulations to Zenta for the truly awe inspiring project! Well that’s it for this round folks! We’ll be sure to keep you guys updated on when the next round of projects will start. Until then, keep building! Editors Note: Three bipeds won? Seriously? We haven’t had a single biped place in top 3 in the last 3+ years this contest has been running, and this year we had not one but three bipeds place? Wow. Someone better make sure Giger hasn’t killed off the TR crew and replaced us with his humanoid brethren. This entry was posted on Friday, February 11th, 2011 at 1:28 pm	and is filed under Announcements, Competitions / Contests, Front Page News, Misc. You can follow any responses to this entry through the RSS 2.0 feed. You can leave a response, or trackback from your own site.